Great lines. I am very much fond of reading poetry lines. I always love to write poems as well as to read. Here visiting your blog made my day very enjoyable. I am soo happy that I am here to read your lines. I would have missed this wonderful opportunity of reading your lines. I have stopped writing poet lines when I was young due to my tight schedule. By reading this blog few lines came into my mind where in I would love to start writing again. Presently I am working at cheap essay writing service for past few years. For any kind of writing work you can visit my website. Here we have best knowledge about different topics. I write essays and now being inspired by your post thinking to write poems. Here my service provides the best service where you get best contents Thanks for sharing the lyrics. Here I found few lines are repeated. It would be colorful if you would have shared few pictures. I am expecting more songs. Each line of the song is very touching. It is very emotional to read the lines. 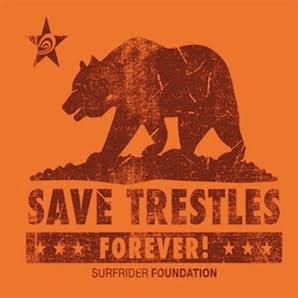 Here the author have mentioned about saving trestles. The trestles is collection of surfing spots. It was saved. I am expecting more posts from you. I am very much eagerly waiting your posts. I am sure that everyone would love this posts and all are expecting more poets from you. Here you have mentioned about dream where it added extra beauty to the poems. The lines “I am happy to walk through nature of it “, this is fantastic where we all love nature and we always love to walk in nature enjoying the real beauty of it. I always dream of walking alone in the nature by enjoying the beautiful smell of the greenery and flowers. The post looks at the Sediment Flow. It states that Kiwi singer/songwriter and Surfrider Foundation member Daniel Gannaway has written a song to back up Trestles. You can find the lyrics of the song and it’s inspirational as well.